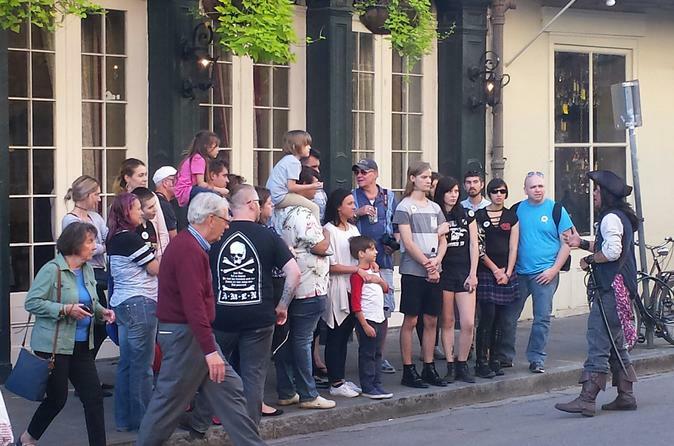 Walk in the footsteps of real pirates that walked the streets of the French Quarter during the early 1800's! From While travelling through Jackson Square, Seeing the famous pirates alley, and stopping by the legendary Lafitte's Blacksmith Shop. While walking through the heart of the French Quarter you will hear the true stories of the Laffite Brothers. Pirates and privateers that built a smuggling empire here in Louisiana and New Orleans and also helped to defend the city against the British during the Battle of New Orleans. 15 minute restroom/ drink break halfway through tour. Drinks not included in price of tour.